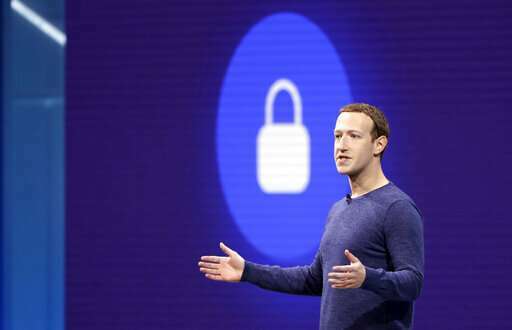 Instead of just being the network that connects everyone, Facebook wants to encourage small groups of people to carry on encrypted conversations that neither Facebook nor any other outsider can read. 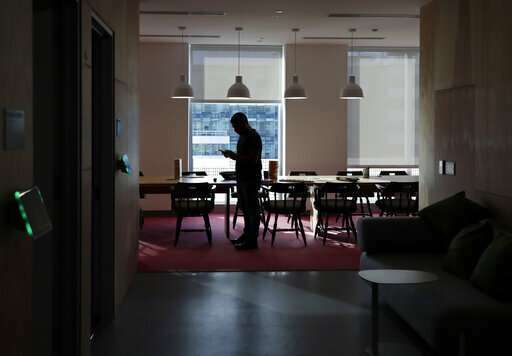 It also plans to let messages automatically disappear, a feature pioneered by its rival Snapchat that could limit the risks posed by a trail of social media posts that follow people throughout their lives. Facebook grew into a colossus by vacuuming up people's information in every possible way and dissecting it to shoot targeted ads back at them. Anything that jeopardizes that machine could pose a major threat to the company's share price, which would also affect its ability to attract and retain talented engineers and other employees. 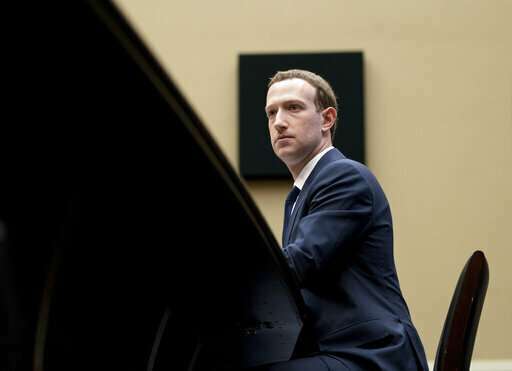 In a Wednesday interview with The Associated Press, Zuckerberg predicted Facebook's emphasis on privacy will do more to help the company's business than hurt it. While most of the stock market slipped in Wednesday trading, Facebook's shares gained $1.25 to close at $172.51. 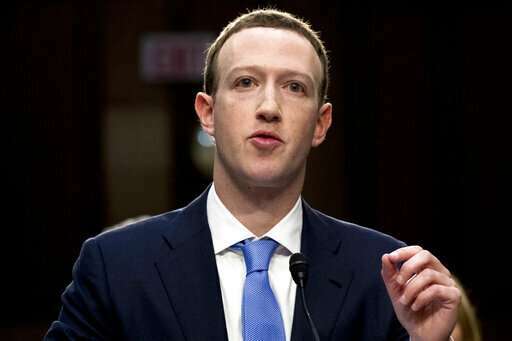 "If you think about your life, you probably spend more time communicating privately than publicly," Zuckerberg said during the AP interview. "The overall opportunity here is a lot larger than what we have built in terms of Facebook and Instagram." That's far from proven. While Facebook has already tried to show ads in the Messenger app, it's seen only limited success. It hasn't even tested the concept in WhatsApp since it acquired that service for $22 billion in 2014. 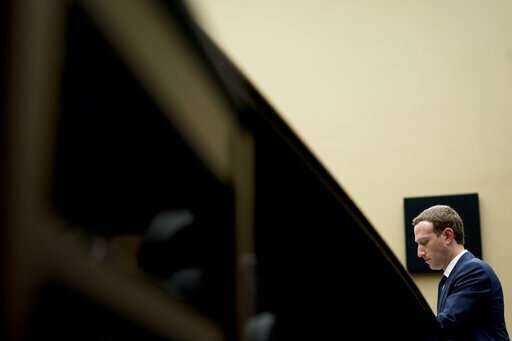 Some critics are convinced that Facebook has become so powerful—even a threat to democracy as well as to people's privacy—that it needs to be reined in by tougher regulations or even a corporate breakup. But unraveling Facebook could become more difficult if Zuckerberg can successfully stitch together the messaging services behind an encrypted wall. Facebook's focus on messaging privacy raises other concerns. Messaging apps have in the past helped fake news and rumors spread fast, sometimes with deadly consequences. A report from University of Oxford researchers last year found evidence of widespread disinformation campaigns on chat applications like WhatsApp. In one particularly brutal example, the Indian government last year accused WhatsApp of fueling rumors that led to lynchings and mob violence that wounded dozens. Oh gawd, another messaging app. Of course FB can create a privacy wall net, but can it sell ads on it. Facebook and Google have plundered the free press by absorbing the revenue (ads) and commoditizing the content (real news reporting). These companies should have to pay a couple billion a year into a press annuity that will support investigative, independent press. Several billion a year could pay for 30,000 investigative reporters with more money left over so that our press doesn't get bought up by billionaires.